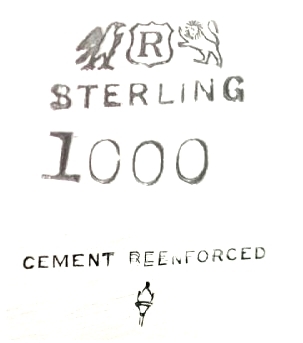 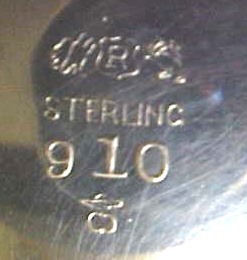 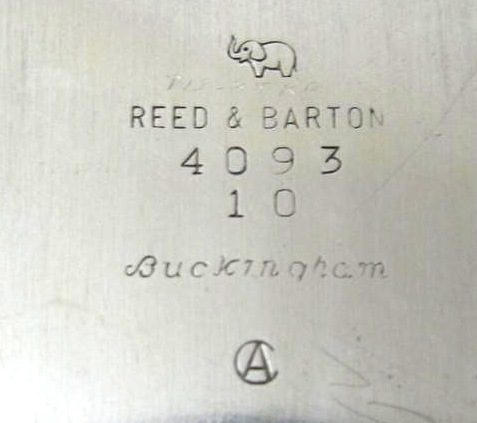 This symbol (C circling an A) was coupled to the year date symbol (information supplied by Reed&Barton Archive Center through Sam MacArthur). 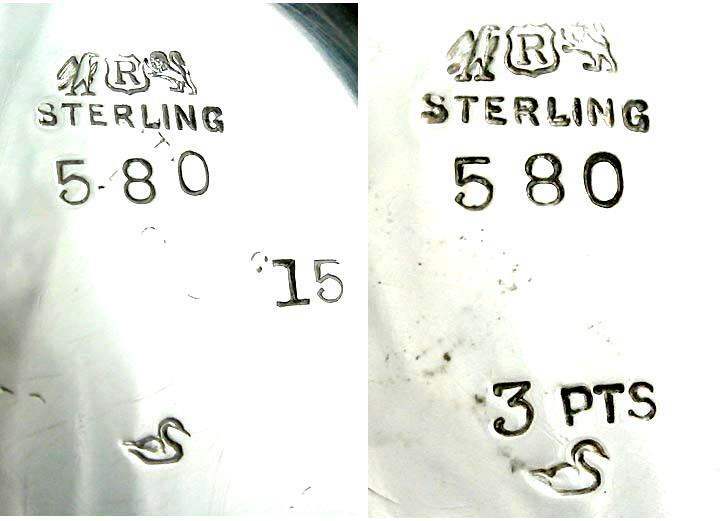 See examples at dates 1952 and 1956. 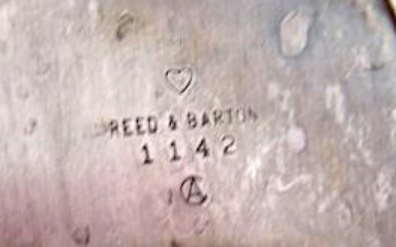 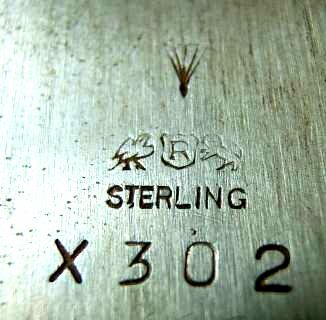 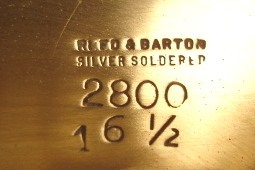 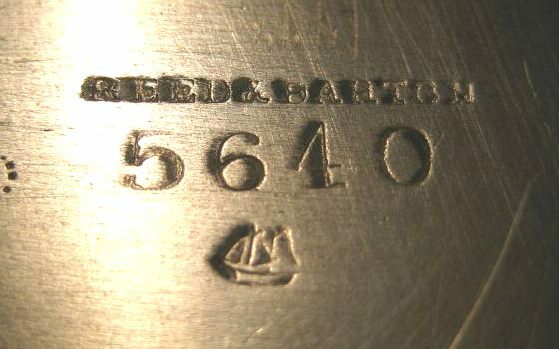 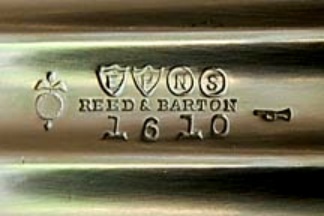 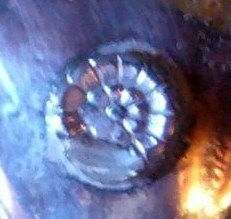 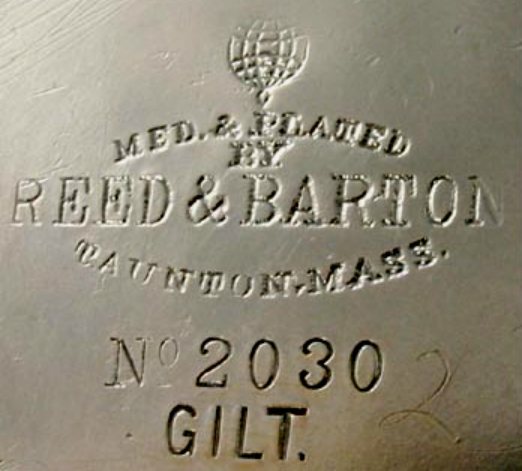 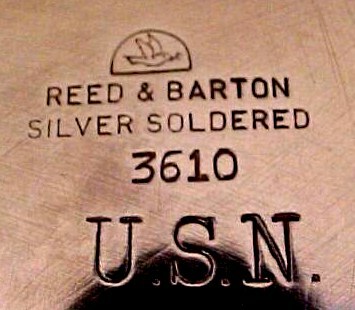 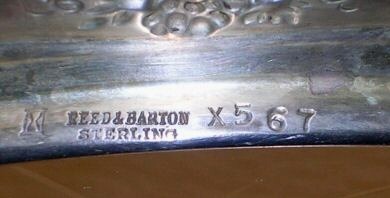 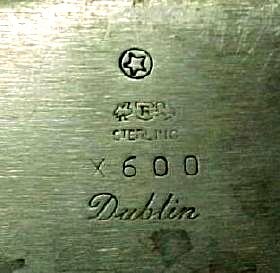 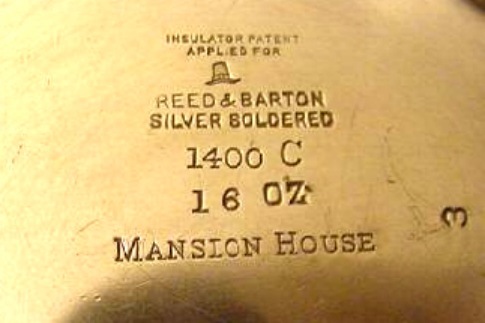 The Reed & Barton story began in 1824, when Isaac Babbitt created a new metal alloy - "Britannia metal" - in his Taunton, Massachusetts pewter shop. 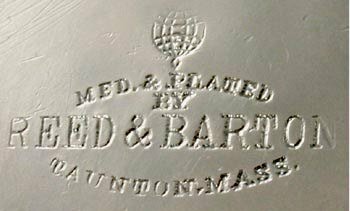 Babbitt joined forces with craftsmen Henry G. Reed and Charles E. Barton to produce this innovative, higher quality pewter ware. 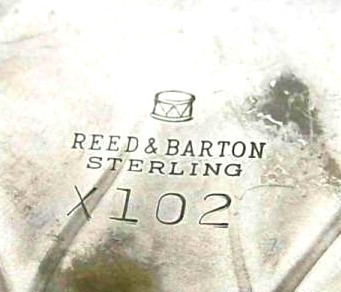 When Babbitt encountered financial difficulties, Reed & Barton offered to take control and began manufacturing products under their own names. 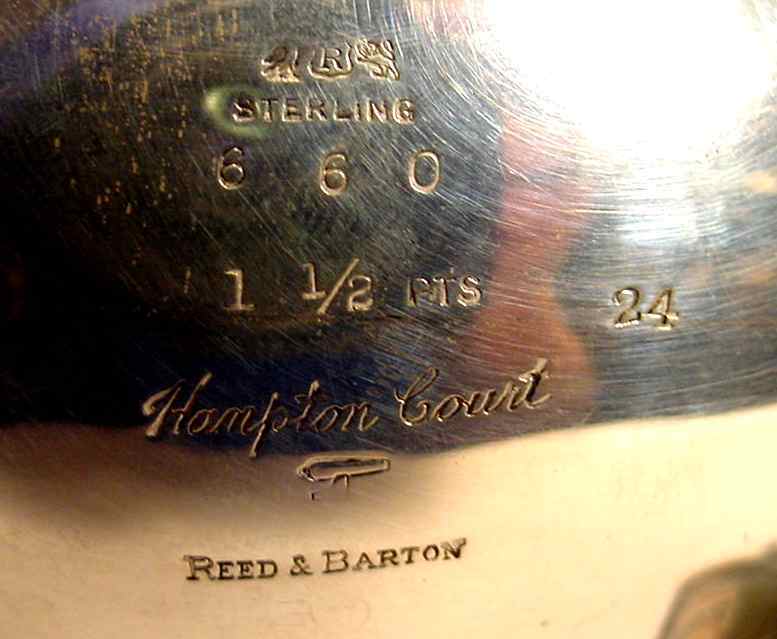 The fledgling company's goods reflected uncompromising standards of excellence, starting with its initial silverplate products and extending to the exquisite sterling silver creations that resulted from the silver discoveries of the late 1800s. 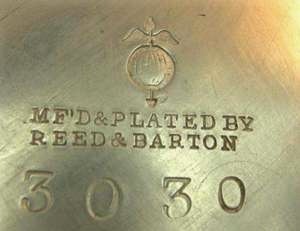 The company has remained privately owned by the family of Henry Reed. 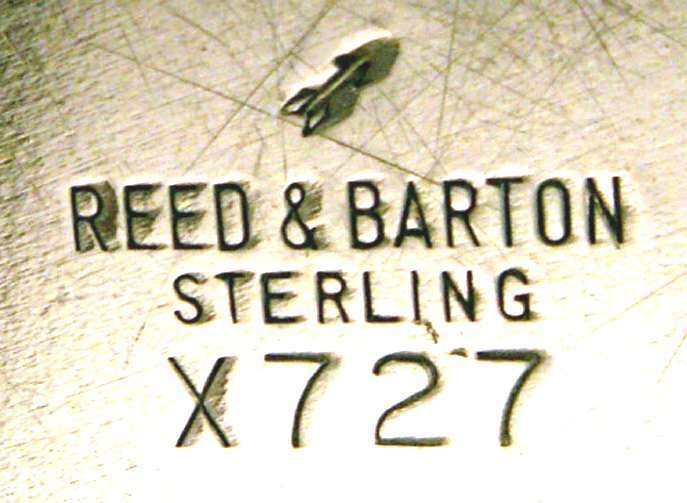 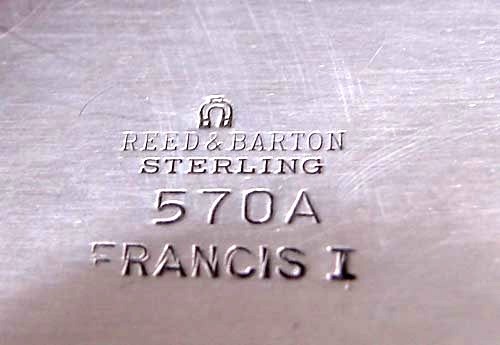 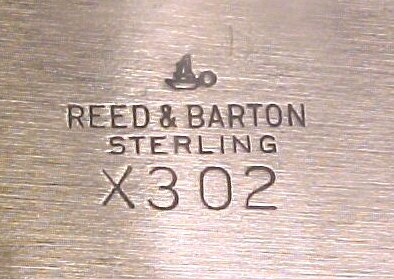 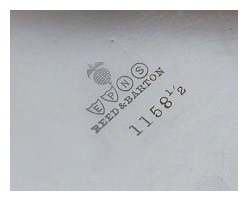 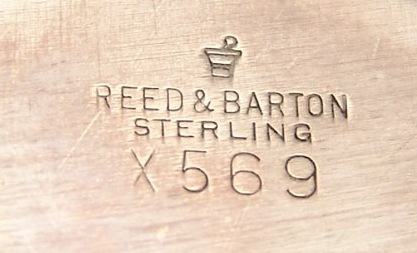 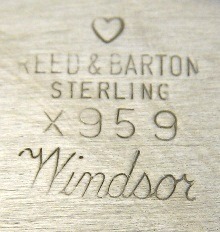 Besides the flatware for which it is renowned, Reed & Barton operates other brands as well: Reed & Barton Handcrafted Chests, the world's largest manufacturer of handmade chests, cigar humidors, pen chests, and hardwood flatware. 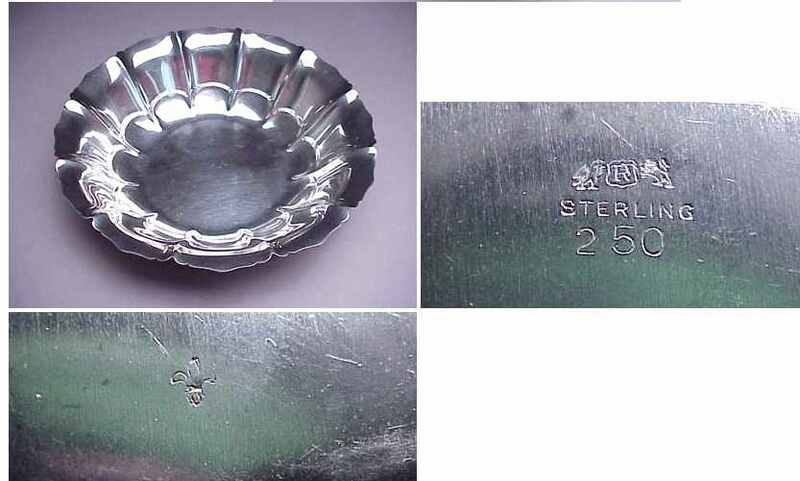 Miller Rogaska Crystal, handmade stemware. 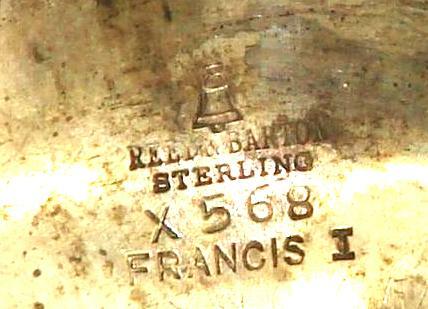 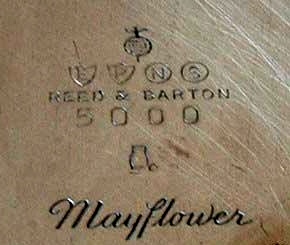 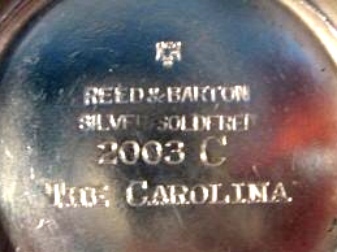 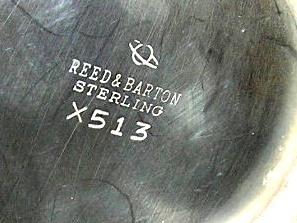 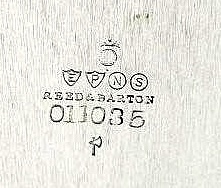 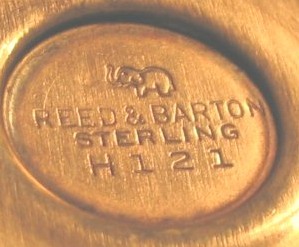 Sheffield Collection, a company started in 1908 and purchased by Reed & Barton in 1973. 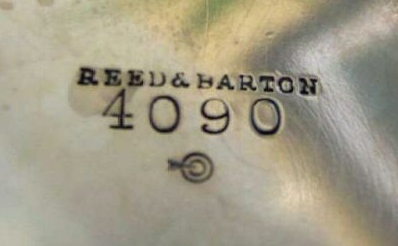 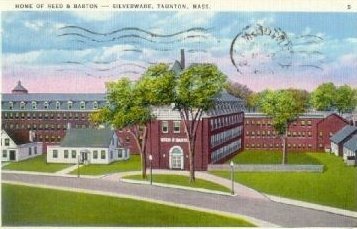 Reed & Barton maintains its headquarters in Taunton, Massachusetts, once known as "Silver City" because of the number of silver companies operating there.